Racing will be 14, 15 16 Jan; however, each fleet will need to decide for themselves what days “count.” Unlike past years, at this time there is no plan to have a separate set of awards for a Friday race day. Fleet Captains please send your decisions to the RC Chairman, Rob Gibbs at RobDaSailor@gmail.com by the end of December. 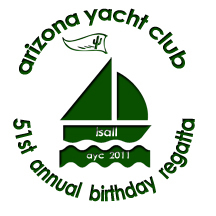 The Leukemia Cup is, as usual, only Saturday and requires a separate entry fee, ALL of which goes to the Arizona Leukemia and Lymphoma Society. It takes 5 or more entries to fleet. Of course the final NOR and SI will override anything posted here, but these details shouldn’t change. Thanks for your patience while we work out the final details with our partners.